3. The email wizard should open now. 5. 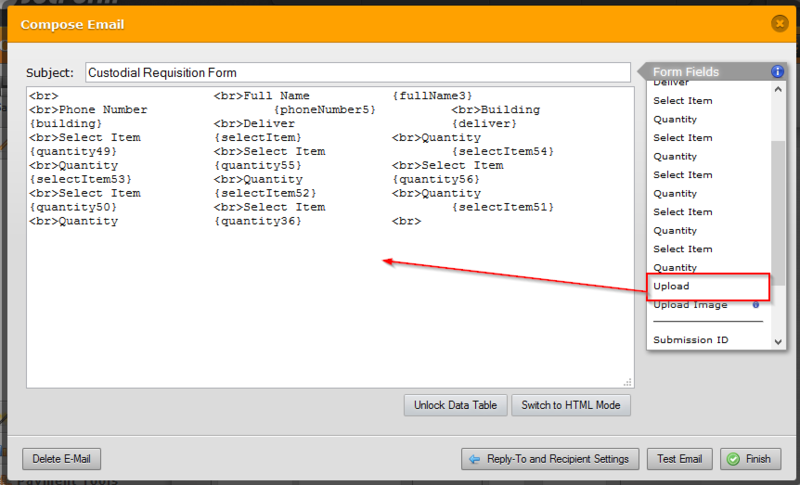 Click on File upload field from the list of form fields to add to the forum. 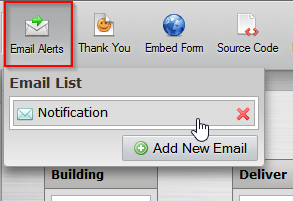 Alternatively, you can add a new notifier so that all the fields available on the JotForm shall be made available on email alerts also. By the ways, can I embed Excel, Word or PDF documents into my form in jotform.com? To further assist you better, I've created a separate thread for your concern regarding embedding documents on your form. This is to help us focus on the topic of each forum post. Please refer to this this link for an update http://support.jotform.com/answers/458418.